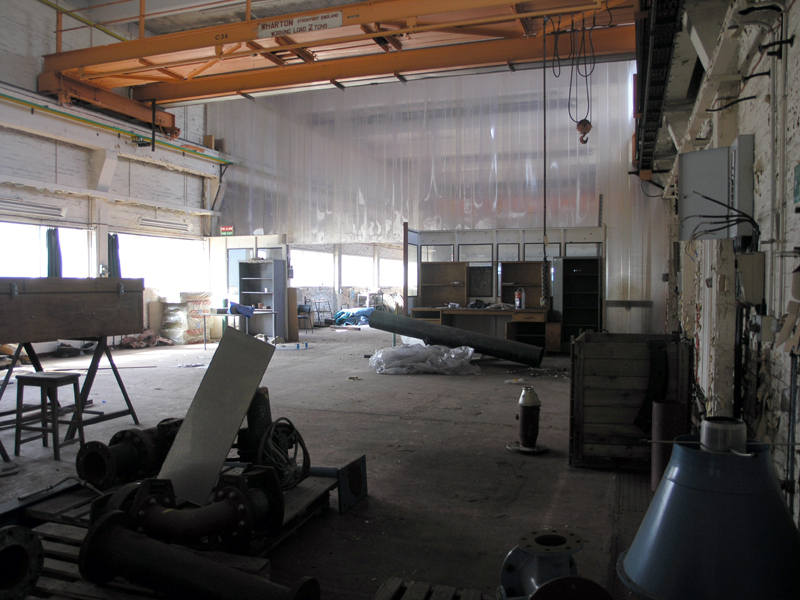 The two halves of the engineering hall are divided by a large transparent plastic sheet. Another gantry crane can be found in this section. Southern half of the main bay of the New Fitting Shop looking north-west.